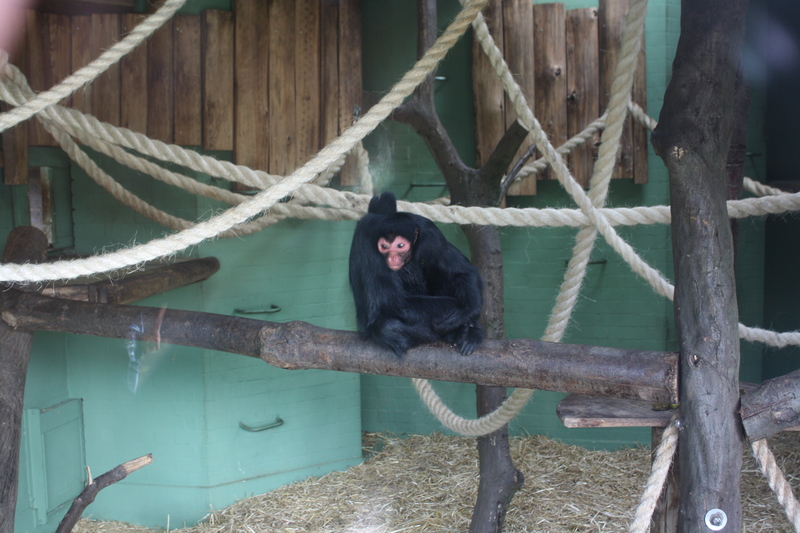 We had our last field trip for biology last Friday: a trip to the London Zoo! I’ll tell you one thing, it sure beat lecture! I partnered up with Mary, another study abroad student, for our research project at the Zoo. We got right down to business and decided – well, I decided – that we were going to watch primates! Mary was up for anything, so primates it was! 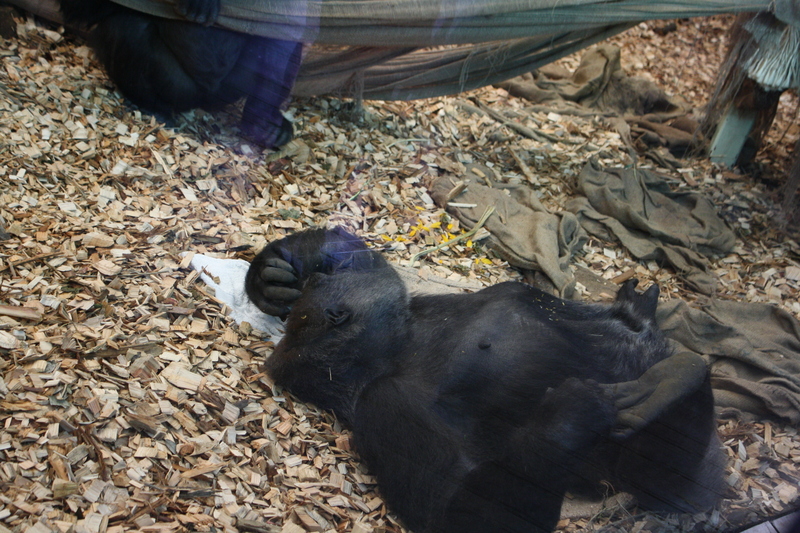 We took an initial trip around to see all the different kinds, starting with gorillas. They were pretty sedentary, the one laying down was picking his/her nose, completely oblivious to the groups of people standing and watching! We moved on and saw a bunch of different kinds of monkeys, the zoo had quite a variety! Here’s a little red-faced guy, what a cutie! One of my favorite parts was an enclosed space (pretty big) where you could walk thru among monkeys! 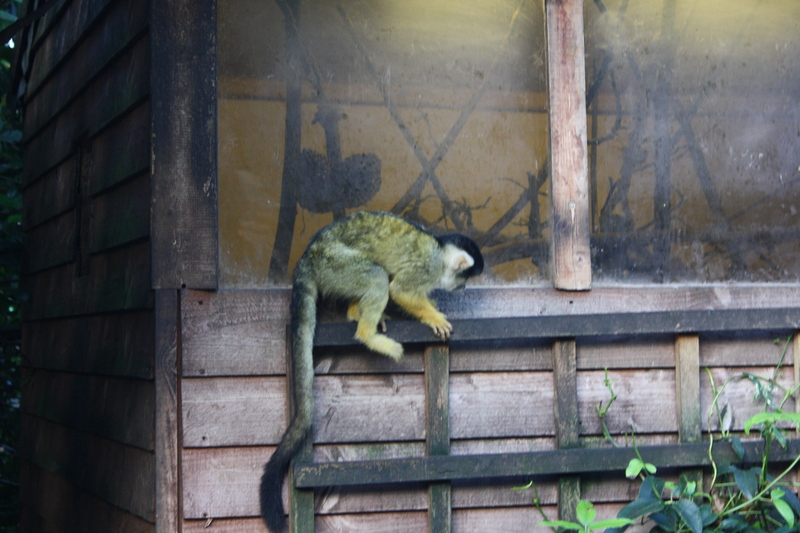 They were really little ones (black capped squirrel monkeys) and there was nothing but space between them and me! There were signs instructing all food and drink to be hidden and to not touch the monkeys, but I figured if one slipped into my bag and I walked out ‘without knowing,’ then he would be mine! 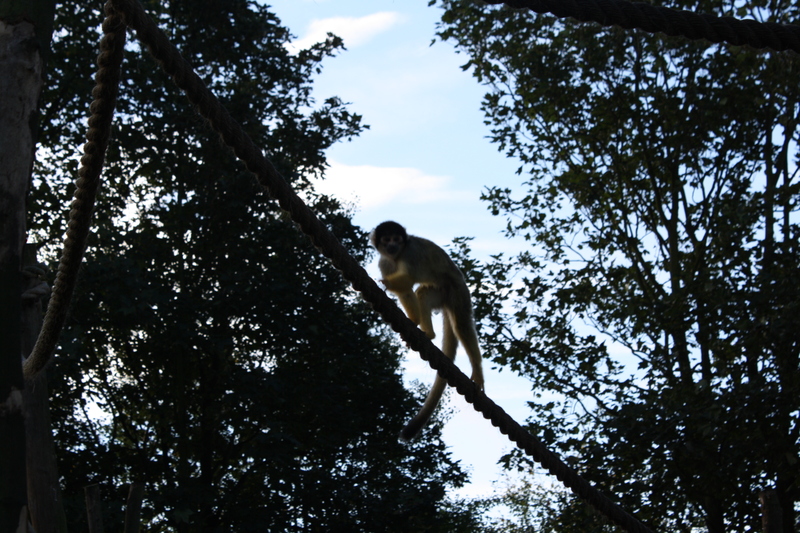 They were pretty fast moving so it was hard to get close to them/get a clear picture, but the enclosure had lots of ropes criss-crossing overhead so the monkeys could run right over us! Man, was it cool! They also had an amazon-type indoor exhibit where monkeys were also free-roaming, but it was a lot harder to get close to them there! On the way back, Mary and I saw a guy walking thru the trains on the tube and asking for money. This was the first time I’ve seen this so I was a bit confused, surely commuters aren’t the most receptive audience (albeit very captive between stops). I don’t think I saw anyone make eye-contact with the guy, they all of a sudden were very busy. The man had a very rehearsed speech I heard him say three times in our carriage. (that’s what they’re called, right? carriages?) That must work for him though, because if I were him (and had enough to ride around on Zone 1 trains on rush hour) I’d skip the train and stop in an off license for a snack! Sorry it took so long to update, this is the week before Reading Week (YAY!) so it’s been busy! Upcoming plans include going out for Halloween (tonight), writing two major essays, then treating myself to a trip to Salisbury and Stonehenge next weekend! Also planning a charity shopping trip to try to find a winter jacket! Will try to keep updated! This entry was posted in England and tagged England, London, Observations, On The Tube, Uni Life. Bookmark the permalink.